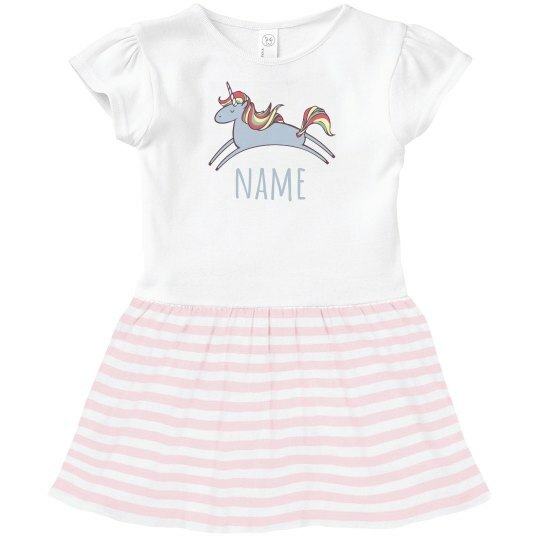 Customize a cute little unicorn themed t-shirt dress for your little youngin' to wear! This adorable outfit will be perfect for her next birthday party. Add a custom name to make this toddler dress even cuter!